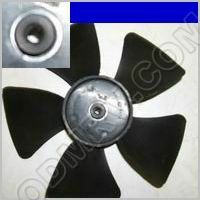 Fan Blade SKU3255 - $5.49 : Out-of-Doors Mart!, More Airstream Parts on-line than anyone! SKU3255 - Black 5 blade fan blade. See Picture.